We’d love your help. Let us know what’s wrong with this preview of Pathfinder Tales by Dave Gross. Half-elven Pathfinder and noble detective Varian Jeggare is down on his luck and searching for it at the bottom of a bottle, sunk so deep into his own despair that not even his loyal bodyguard Radovan—a streetwise rake with the blood of devils in his veins—can drag him out of it. But when a job gone wrong puts a price on Varian's head, can Radovan hunt down the assassin an Half-elven Pathfinder and noble detective Varian Jeggare is down on his luck and searching for it at the bottom of a bottle, sunk so deep into his own despair that not even his loyal bodyguard Radovan—a streetwise rake with the blood of devils in his veins—can drag him out of it. But when a job gone wrong puts a price on Varian's head, can Radovan hunt down the assassin and save his boss from their enemies—and himself—before it's too late? To ask other readers questions about Pathfinder Tales, please sign up. There's no rule stating you can't tell a good story in as few pages as possible, but I don't The Lost Pathfinder exactly qualifies in this particular. I'm kinda torn for words on how to review it because it's so damn short and, aside from the fact little happens in it aside from giving lots of descriptions, and essentially just sets up the events that proceed it. 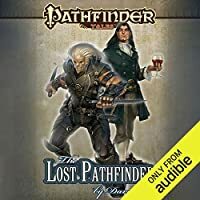 Part honestly boring monologues of a noble turned detective, or is it the other way around maybe, Varian Jeggare and part pretty intere There's no rule stating you can't tell a good story in as few pages as possible, but I don't The Lost Pathfinder exactly qualifies in this particular. I'm kinda torn for words on how to review it because it's so damn short and, aside from the fact little happens in it aside from giving lots of descriptions, and essentially just sets up the events that proceed it. Part honestly boring monologues of a noble turned detective, or is it the other way around maybe, Varian Jeggare and part pretty interesting snippet from a life of his bodyguard Radovan, this short piece reads exactly like you'd expect fiction along those lines to read. I wish there was more to this, but you can probably guess what each of the respective chapters goes like; noble is tired of his life, keeps getting drunk and yearns for something else as his social strata abandons him despite years of discreet favors – on the other hand a tiefling bodyguard is hired by said noble years ago, despite it being a largely unpopular decision for something of his rank to do, and is pretty damn loyal to his employer. That's the state of things until one day Radovan gets the news Varian is on the hit list and it's up to him to save the day. There. That's the summary of the entire short story. Not to say The Lost Pathfinder doesn't do some things more right than others, though. It's very evocative with liberal use of descriptions and we do get to see inner workings of the two main characters, as cliché as they may be. Considering this is still a Pathfinder book you don't need to know anything about the setting and what you might miss, like who Hellknights are and various gods that get mentioned, is not that important. For those who are fans though, it is nice to see Cheliax more developed. I did expect it to be a lot more diabolical considering they worship Asmodeus over there. There are hints of this, but seeing as entire story is more of a low-key mercenary job, albeit with potential to develop further seeing as it's not really explained other than who must not> have ordered the assassination, it's never brought to front aside from some jabs and hints from Varian himself here and there..
Too short to really engender any particular emotional like or dislike. /me shrugs. I have to admit, I was hoping for more of a setup for Prince of Wolves. A fun short story, but not Gross' best work in my opinion. Dave Gross is the author of ten novels, notably the adventures of Radovan and the Count, including Prince of Wolves, Master of Devils, Queen of Thorns, and King of Chaos. Formerly the editor of such magazines as Dragon, Star Wars Insider, and Amazing Stories, Dave has also written novels for the Forgotten Realms and Iron Kingdoms settings. For more tales of Radovan and the Count, including free sh Dave Gross is the author of ten novels, notably the adventures of Radovan and the Count, including Prince of Wolves, Master of Devils, Queen of Thorns, and King of Chaos. Formerly the editor of such magazines as Dragon, Star Wars Insider, and Amazing Stories, Dave has also written novels for the Forgotten Realms and Iron Kingdoms settings. 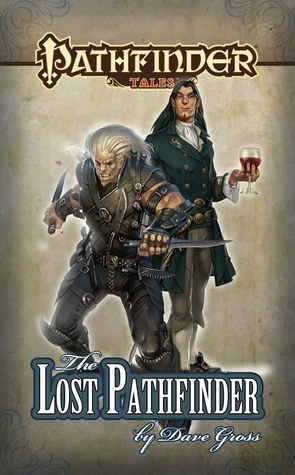 For more tales of Radovan and the Count, including free short stories, check out http://paizo.com/pathfinder/tales.